Jakob Silfverberg scored 38 seconds into overtime and added two assists as the Anaheim Ducks defeated the visiting San Jose Sharks 4-3 Friday night. Rickard Rakell had two goals and an assist for Anaheim, and Adam Henrique also tallied. Troy Terry and Cam Fowler each contributed two assists, and John Gibson made 23 saves. Kevin Labanc, Timo Meier and Justin Braun scored for the Sharks, who lost their fifth straight game. 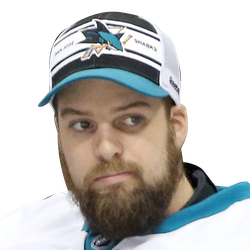 Marc-Edouard Vlasic was credited with two assists, and Aaron Dell stopped 17 of 21 shots. The Sharks, who have already clinched a playoff berth, are four points behind the Calgary Flames in the race for the Western Conference's top record. 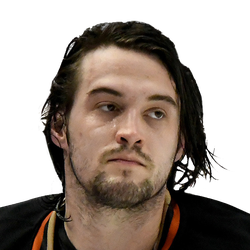 The Ducks won for the third time in four games. Three times the Sharks rallied from one-goal deficits, but it wasn't enough. Silfverberg took a drop pass at the San Jose blue line from Rakell in overtime and skated to the top of the faceoff circle, where he was left an open shot by two defenders. Silfverberg put a wrister into the top left corner of the net, over Dell's blocker. Rakell opened the scoring at 7:58 of the first period, taking a pass from Silfverberg and putting a shot from the left faceoff circle over Dell and into the roof of the net. The Sharks tied it at 1-1 at 2:29 of the middle period. Labanc took a pass from Vlasic and beat Gibson with a wrist shot. The score remained tied until the third period, when Henrique scored on a power play at 2:41 off a pass from Terry. The Sharks tied it at 6:29 on a power-play goal by Meier. Rakell put the Ducks ahead for the third time with a power-play goal at 15:05 off assists from Fowler and Terry. The Sharks again tied it, this time at 17:20. The puck took a lively bounce off the end boards and back in front of the net for Braun, who hammered it home before Gibson could react.